Some days are just meant to be special. Take this one for example. There was both brilliant sunshine and light rain for most of the day. 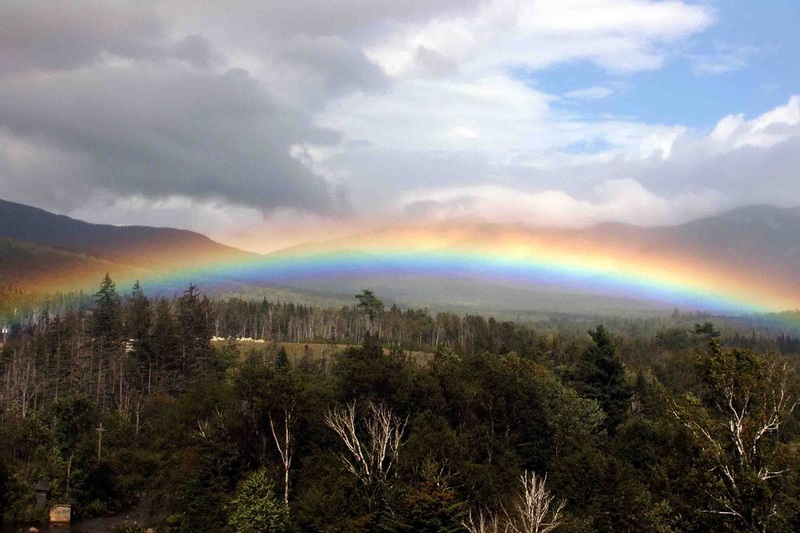 This image of an exceptionally low rainbow, spanning the Ammonoosuc River, is taken from the veranda of The Mount Washington Hotel in Bretton Woods.